Home Hair Need Care Men’s Hair Men’s Hair: Their Hair Need Care Too! Men’s Hair: Their Hair Need Care Too! Although most hairstyles of men are short and trimmed, it does not mean their hair needs less care compared to women with long, intricate and sensitive hairstyles. Because men’s hair are often worn short, it often needs trims and haircuts to keep it neat and groomed. A few missed visits to the barber or hairstylists could make men’s hair shabby and untidy. Women spend lesser visits to hair salons although they spend exorbitant fees for one visit! Male activities like sports, exercise also expose men’s hair to excessive stress and the elements – dust, sweat and various liquids among others. Improper care for men’s hair could lead to gross consequences indeed. 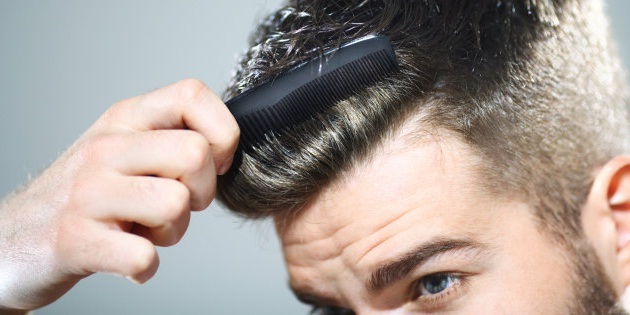 Perhaps the biggest problem of men’s hair comes with age – hair loss. This problem requires men even at a young age to take care of their hair to delay the effect of dissipating hairline as long as possible. When hair loss inevitably comes, men’s hair require special shampoo and hair treatment products to prevent the situation from worsening. The remaining hair also needs revitalization to keep them healthy and more frequent visits to the barber to keep it trim-clean and the man as good, clean looking as he can possibly be. Just like that of women, men’s hair have various color, texture and body and requires different types of cleaning and maintenance regimen. Many men sport the almost no-maintenance bald look but more intricate hairstyles like dreadlocks or long straight hair are also prevalent, which require more stringent care as these types of men’s hair are more susceptible to problems like breakage or split ends. The problem with men, however, is they are not as lavish as women in taking care of their hair. They are also not too sensitive to the different characteristics of men’s hair — waves, curls and various varieties of straights. Thus, a visit to professional hair experts, which at present is steadily growing in number, is needed for men who value their overall appearance. These hair experts can give men professional advice on the best haircut and the best maintenance products to keep the hair at its best. Just like women’s hair, however, the foremost consideration of men’s hair is comfort and appearance. Men, with the help of hairstylists, should know the most comfortable hairstyle which gives him the maximum appeal. Men’s hair care is not too intricate but must also be part of men’s hair maintenance because like women, many women value their appearance a lot.